Exotic fruits are becoming more popular because of their intense flavours, health benefits and beautiful appearance. While everyone has tried pineapple and pomegranate, new and delicious fruits appear all the time. They might be a bit more expensive, but eating some of them once in a while won’t ruin your budget. Liven up your fruit bowl with these exotic delicacies, and treat yourself to a tropical feast. 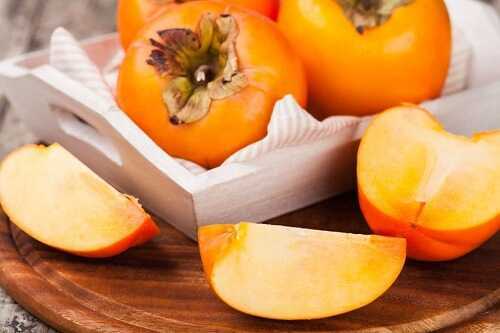 Persimmons, also known as kakis or sharon fruit, are originally from China and Japan. The fruit look like orange tomatoes, but are incredibly sweet when ripe. Persimmons come into season during November, and last for two or three months. Consume your fruit once they soften, and the skin turn translucent. Be careful when eating persimmons and kakis, as they can be bitter unless completely ripe. Eat your persimmons fresh, or use them to make pies and jellies. Persimmons are rich in the vitamin A precursor betacarotene, as well as magnesium, potassium and fibre. They also contain natural polyphenol antioxidants, which may protect your body from free radicals. In Japan, the persimmon tree is a symbol of winter. Its leaves drop during the fall, leaving the beautiful fruit to ripen on bare branches. 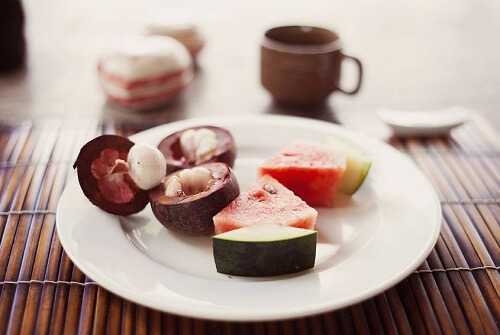 Known as the queen of fruits, the mangosteen is a delicious tropical treat from Indonesia. It looks like a small purple apple with a crown of green leaves. Break open your fruit when its inedible rind goes slightly soft. Inside is a ring of white fruit segments that looks like a tangerine. 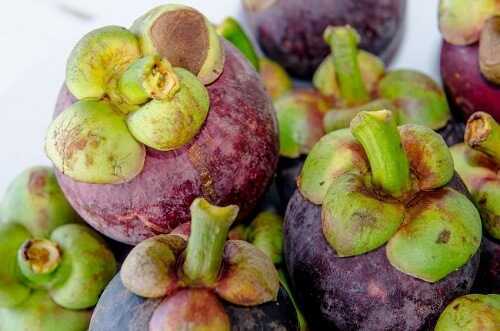 Mangosteen is both sweet and tart, and tastes somewhere between a peach and a pineapple. Mangosteens have gained something of a reputation as a superfruit. This is because their rind contains antioxidant chemicals called xanthones. These are effective antioxidants in the laboratory, but as yet nobody has proved that they have any effect on us when eaten. When you eat fresh mangosteens you can’t eat the rind anyway. Mangosteens are worth buying for their intense flavour, rather than for any possible health benefits. Mangosteens are known as the queen of fruits because Queen Victoria once offered a huge reward to anyone who could bring her one. 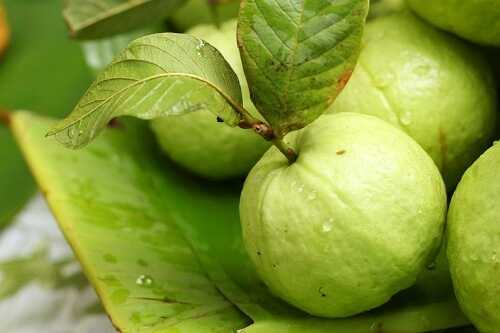 The guava is a small tree or shrub from the tropical Americas. It produces oval fruit up to four inches long that are green, yellow or red when ripe. Some people find the rich scent of ripe guava fruit overpowering. It can fill a room and hang around for days! Wait until your guavas are soft to the touch before eating them. Remove the ends and the thin skin with a potato peeler. Eat the remaining white or pink rind and the seeds in the centre. Consume guavas fresh, or use them to make fruit salads, smoothies and jellies. In Asia, people dip them in chilli powder and salt. Guavas are high in fibre, vitamin A, vitamin C and folic acid. One guava contains four times as much vitamin C as an orange. They are also an excellent source of minerals such as potassium and copper. Guavas with pink flesh also contain polyphenols and carotenoids, which may have healthy, antioxidant properties. Guava bushes have escaped from cultivation and become dangerous invasive species in many tropical places, including Hawaii. Eating fruit daily is vital for good health, but sometimes you may need something special and exotic to make your fruit salad tasty and fun. Give these exotic delicacies a try to find your favorite one. Even though some of these exotic fruits don’t boast powerful health benefits, you may like their unique flavors. What fruit are you going to use to jazz up your fruit bowl? 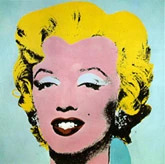 Are You a Girlfriend of Convenience?